I selected one part of the image to draw. I rendered the image in a very light value. Only part of the image is represented and the value structure is limited. The images surrounding spaces have been edited out. 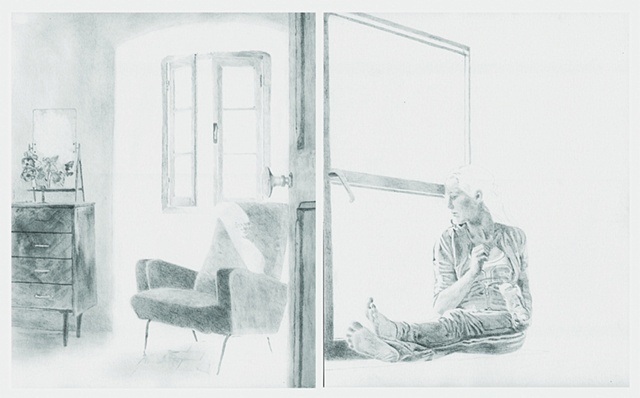 The drawings are paired in diptychs and triptychs to suggest a relationship among the images. A narrative is implied through the accumulated parts. Individual images suggest a part of a whole, though each piece becomes whole when its paired with its counterpart drawing; one part of each drawing is dependent on the other.